We have two great pieces news for you to start off the new year with. Cogia has succeeded in winning as its clients the market research area of the BMW headquarters and customer satisfaction at BMW Malaysia. In the pitches, Web Observer 3.0 convinced them above all other competitors. In 2016, the market research department of the BMW headquarters in Munich executed a tender process addressed to all the leading worldwide providers of social media monitoring solutions. They were looking for a provider who could analyze the customer feedback and customer satisfaction in the most important markets worldwide. 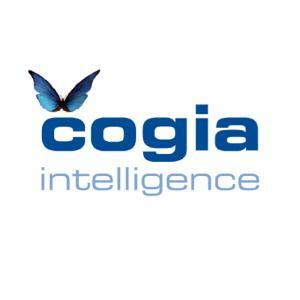 The tender process initially produced a short list of 18 leading suppliers in the market, among which Cogia was also listed. Cogia, with its Web Observer 3.0, was then able to successfully prevail over 17 other competitors and was awarded the contract. In specific terms, this means that we will now be monitoring social media, forums and blogs for BMW in important core markets such as the USA, and will be supporting BMW in terms of its market research. Via a partner, we were also able to win a second BMW deal. This is a 5-year contract (3+1+1) in the area of marketing/customer satisfaction in Malaysia. In this, we were again able to hold our own against other providers in the selection procedure and were finally awarded the contract. Especially decisive for the choice were our possibilities for evaluating open references to customer satisfaction questions with the help of Text Mining and Social Media Monitoring with our Web Observer 3.0. We are looking forward to working with the new clients we’ll be serving this year. We see this as further proof of the quality of our product and wish you, dear companists, an equally good start to 2017.